Immerse yourself in the fundamentals of yoga and learn leadership skills taught through the art of yoga with the Sunstone Academy. Located in Addison, TX, your practical classwork will take place in our Prestonwood Place studio where we have both a Yoga/Barre room and a full fitness training room. Classwork will be conducted in a separate classroom space, fully dedicated to learning, less than a mile from the studio. We specialize in Yoga Alliance certified 200-hour weekend programs led by our faculty of seasoned yoga professionals. In over 10 years of educating yoga teachers, our alumni excel both within Sunstone and in the larger yoga and fitness community. Take the opportunity to slow down a little, grow your practice, make lifelong friends, and learn to teach yoga! Techniques Training/Practice -Learn to practice and teach yoga asana. These hours are a mix between: 1) analytical training in how to teach and practice the techniques and 2) guided practice of the techniques themselves. Please note, many of our yoga practice classes are in a heated & humidified room. Teaching Methodology - Includes principles of demonstration, observation, assisting and correcting, instruction, teaching styles, qualities of a teacher, the student's process of learning and business aspects of teaching yoga. Anatomy and Physiology - Includes both human physical anatomy and physiology (bodily systems, organs, etc.) and energy anatomy and physiology (chakras, nadis, etc.). Includes both the study of the subject and application of its principles to yoga practice (benefits, contraindications, healthy movement patterns, etc). Yoga Philosophy, Lifestyle and Ethics for Yoga Teachers - Includes the study of yoga philosophies, yoga lifestyle and ethics for yoga teachers. Practicum - Includes practice teaching, receiving feedback, observing others teaching and hearing and giving feedback. Also includes assisting students while someone else is teaching. Additional Learning - Includes Sunstone's proprietary Pain Free Yoga (Yoga Core), Yin Yoga methodology, David Emerald's The Power of TED* (The Empowerment Dynamic), yoga traditions of Patanjali as applied to modern day, subtle energy as it relates to somatics and the body, and valuable still mind techniques. Sunstone Academy’s Intensive Weekend Training program is both registered with the Yoga Alliance, a non-profit organization that maintains a registry of yoga schools that comply with its standards. Sunstone Academy Teacher Training qualifies for the 200-Hour Certification. For more information about the Yoga Alliance, click here. 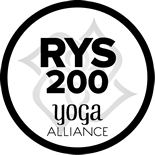 200 Hour Program: Learn the principles of Vinyasa and Hatha yoga – the most popular styles of group yoga classes – and develop your teaching skill by learning to teach multiple sequences. We follow the Yoga Alliance training hour requirements in the following areas. Saturdays and Sundays from 7am -7pm. Program duration 8 weekends. Registration for 2019 is now open! Complete our online form TODAY! Additionally, we are available via phone (214) 764-2119 option 3. Please note: January is full and we are taking names for the waiting list. All programs are Saturday and Sunday, 7a-7p held in Addison TX. 200-hr Weekend program practices 4 weekends in a row, takes one weekend off and then completes the final 4 weekends of training. Start today - WE MAKE EDUCATION AFFORDABLE! Please note: tuition fees are non-refundable. If you are unable to complete your training during your original program dates, you can re-activate your enrollment for $250. This will also re-activate your training pass. Sunstone has been teaching dogma-free yoga for over 15 years. We’ve been training teachers for just as long. We have trained over 2000 teachers and built a community of studios containing like-minded, passionate people who utilize and reinforce our best practices every day. What makes your training different from other yoga trainings? We give you the skills to teach consistently and confidently whether you teach for us or elsewhere! Our training is full of relevant and practical information that your students will appreciate regardless of the level of experience in their yoga practice. We share the traditions of yoga in a modern-day language free from dogma and appropriate for any teaching (or non-teaching) environment. It is our vision to turn a physical yoga practice into an all-encompassing BODY, MIND and LIFE practice. 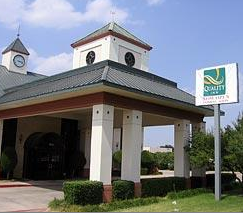 100 steps from campus 4505 Beltway Drive Addison, TX 75001 972.991.2800 Amenities: Complimentary shuttle w/in 5 miles. Breakfast buffet. Fitness Center. Wireless Internet access. Outdoor Pool. Complimentary USA Today delivered to room. 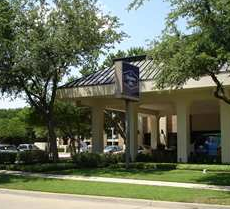 0.7 miles from campus 4103 Beltline Road Addison, TX 75001 972.991.8888 Amenities: Complimentary Continental breakfast. Free wireless. Free local calls. Pet friendly. Click below to view an interactive version of the map. We are excited to have you join us at Sunstone Academy! If you have additional questions, please fill out the form on this page or call our Program Advisor at 214-764-2119 x3. Teach classical Vinyasa (200 hour) postures. Trainees will master an example sequence. Teach classical Hatha (200 hour) postures. Trainees will master an example sequence. A great training program is made up of a great team. Unlike smaller courses, Sunstone’s certification programs are led by a robust and diverse team of talented instructors. Each faculty member contributes his or her unique skills, background, support and thousands of hours of teaching experience to your personal development. You'll acquire knowledge and hone your teaching skills with a combination of classroom instruction and personal coaching from our faculty. Located in Addison, TX, your practical classwork will take place in our newest studio, Prestonwood Place, where we have both a dedicated Yoga/Barre room and a full fitness/training room. Classwork will be conducted in a separate classroom space, fully dedicated to learning, less than a mile from the studio. The Academy’s highly experienced faculty are committed to providing the highest quality Yoga Alliance compliant instruction for your 200-hour yoga teaching certification. Over 4,000 square feet of studio space. Two spacious 2,000 sq. ft. rooms - one for fitness and a yoga studio featuring automated HVAC systems that maintain the ideal combination of heat and humidity for the instruction of each Sunstone class series. A library of yoga and fitness-related books and materials. Sunstone Academy Teacher Training is an educational program containing content created from extensive yoga teaching experience and years of development. Our training is structured specifically to help students successfully turn a passion for yoga, fitness, health and helping others into a career. Our trainees acquire three different types of knowledge during training, each of equal importance in preparing them to teach. Each will master yoga studies, become proficient in practicing yoga postures, and learn to excel at teaching classes confidently and accurately. We not only teach theory and mastery of postures, but also provide training in the art of "how to teach"
Each of the Sunstone Academy programs have been designed by our senior instructors and teaching faculty. We receive real world feedback on our results — from a community of Sunstone Academy graduates who teach over 640 classes a week. Our faculty remembers just what it was like to teach their first class, and is committed to presenting information and demonstrating skills that help each trainee grow into a successful yoga instructor. The courses are demanding, but the rewards are huge! And best of all, the techniques are tested every day in our thriving community. We provide programs that accommodate all types of schedules, and make it easy to begin learning sooner without having to put life, family or a career on hold. Sunstone Academy teacher training is divided into 200 Hour Program and a modular Fitness Leadership Program. 200 Hour Program: Learn the principles of Vinyasa and Hatha yoga – the most popular styles of group yoga class – and develop your teaching skill by learning to teach classes. We follow the Yoga Alliance training hour requirements in the following areas. Audition to join our Fitness Leadership Program and teach for Sunstone! Sunstone Fitness Leadership Program: This program is modular in nature; each module consists of preparatory self-study, practice, and online examination - leading to 8 face to face instruction at Sunstone Academy. Upon successful completion of the Team and Teaching Leadership Techniques and one other module, you can apply to teach at a Sunstone location. Applications for employment are submitted to the Manager of the location where you wish to teach - and all hiring decisions are made at the studio level. The practice of yoga is a lifelong journey of personal growth and self-discovery. Along the way you develop self-awareness, rewarding relationships and personal fulfillment. I understand that the first step can be a bit daunting—that’s why the entire Sunstone community is committed to providing you with the support you need from Day One. Life is short, and sometimes you have to ask yourself, ‘If not now—then when?’. Becoming yoga teacher has changed my life, I know it will change your life, and together we can share the gift of yoga with the global community. Call Sunstone Academy's Program Advisor at 214-764-2119 x3 to enroll. Congratulations on your decision to become a yoga teacher! I look forward to personally welcoming you to our community. Not ready to pay tuition and enroll today? Then fill out our form to learn the 8 things you must know before joining a teacher training course. Best time to call/text? Comments? I attended Sunstone's Intensive Yoga Program at the academy last month, and i can say without a doubt that the three weeks exceeded my expectations. The program included a variety of education and personal development. I believe this is why Sunstone is held to a higher standard and guest experiences are always positive. I know that leaving the academy I returned to the world a better and brighter person. I am so grateful for the experience provided by the dynamic teaching methods and look forward to being a part of this wonderful community. Thank you, Sunstone. life-changing experience that I ended up getting. open myself up to a new realm of possibilities and self-expansion. The physical transformation and spiritual metamorphosis I experienced at the academy was truly life-changing. I happened upon Sunstone at a crossroads in life and it has completely changed the course of my path, preparing me for what life has to offer. The fulfillment I have taken away from Teacher Training is invaluable. Not to mention, the amazing friendships I procured along the way.One of the most rewarding experiences of my life, I could not be more grateful for my time with Sunstone and all they have helped me to accomplish!